You've purchased that beautiful laminate flooring and now it turns into a streaked mess when you clean it. Now you're wondering what you should do. Even some of the purchased cleaners will cause the same smeared looking mess. Help is on the way. I suffered from the same problem, but found the solution. 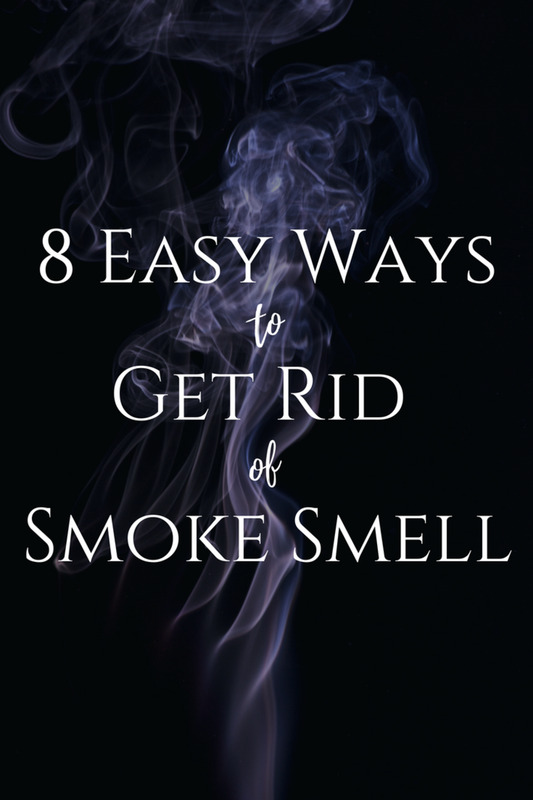 Read on for the advice you need to get rid of the problem. Our laminate flooring came with the instructions to clean it with only warm water. Because we have two dogs, I didn't feel this was sanitary. In the kitchen, the floor got a bit greasy and plain hot water just didn't do the job. I'm going to share a homemade cleaner that does the trick. The instructions are below. I started searching for safe ways to clean my laminate floors. Besides this problem, we went with a darker color and dog hair shows up terrible on it. So, I started experimenting. You should try this. It is a good idea to try a spot that doesn't show first and see if it is safe for your floors. It works fine on mine and comes highly recommended by others. Don't use regular floor cleaners, including oil soaps or any product that says it will give shine. It can ruin the glossy finish. Don't use waxes and polishes. 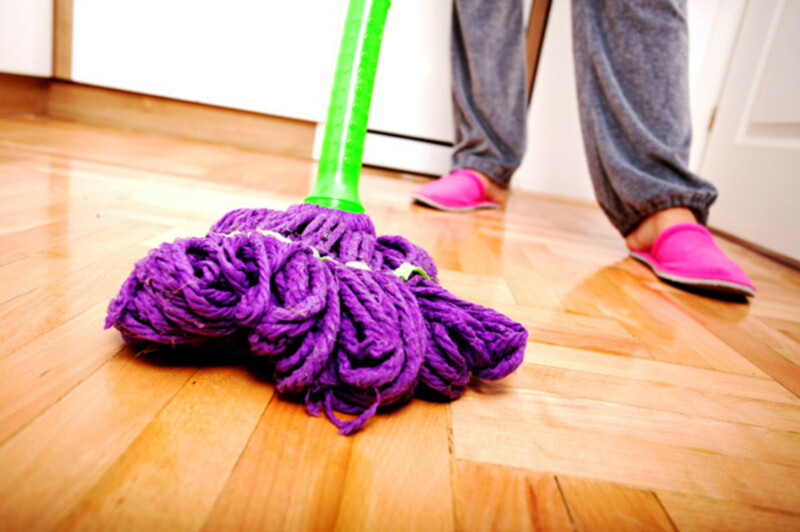 The floor will turn out a smeary mess and you might have problems removing them later. Never use a steam mop. 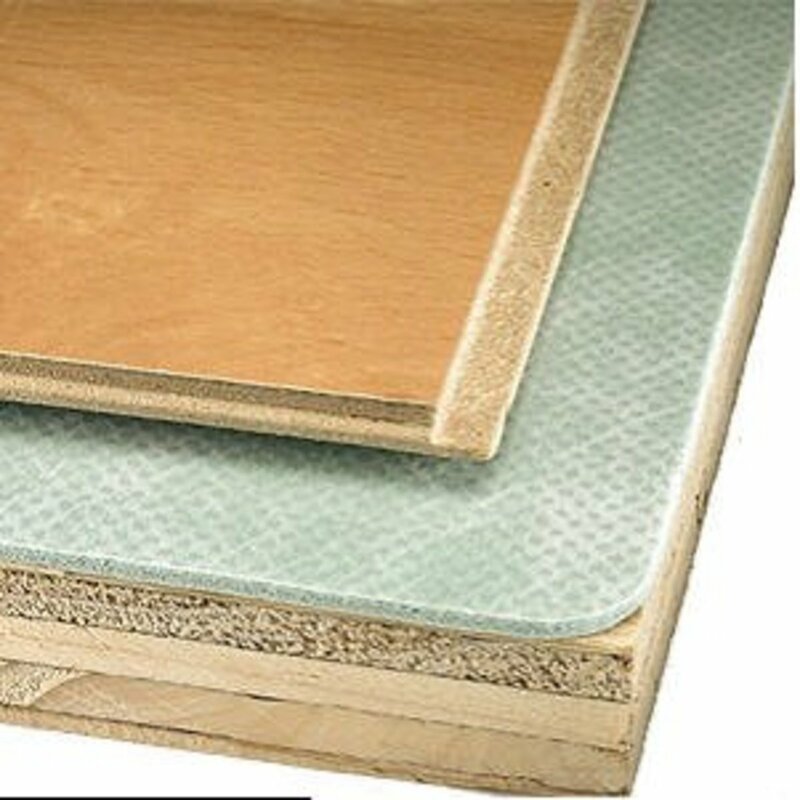 It isn't recommended for laminate and it can cause the floors to warp, sometimes immediately. Many say that it also leaves the floors streaky. Do mop up liquid spills immediately. It isn't good for anything wet to lay on the floor.It can cause warping. Mop up after people or pets tracking in snow, rain or mud right away for the same reason. Do keep sand swept up. Laminate flooring is tough, but sand over time can scratch it. Do keep felt pads under the legs of furniture. This will help protect the floor. 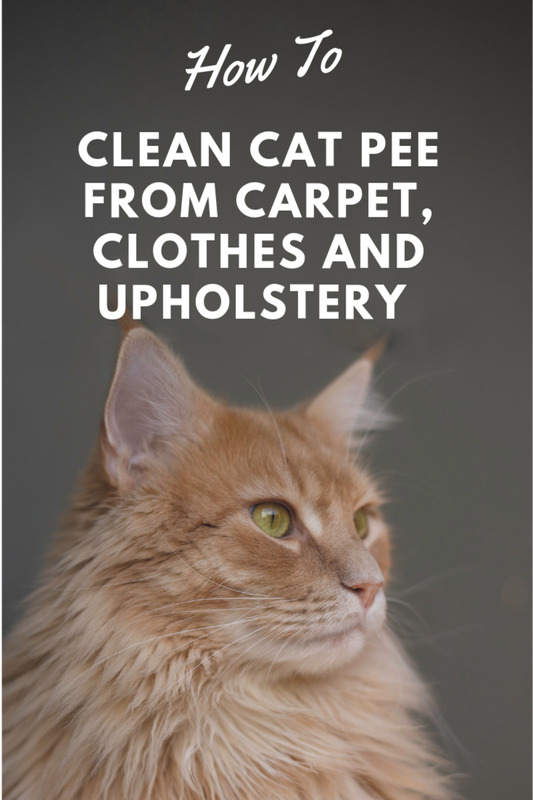 Be sure to check the manufacturers suggestions for cleaning the floors. Always use a clean mop. If you don't, you'll have streaks. A vacuum cleaner or dust mop is needed to clean up dust and dirt before you start. A broom will work too. A clean mop or a a rag to clean the floor. A regular squeeze mop will work fine if you keep the water wrung out completely. I like to use the Rubbermaid Reveal if the floor isn't too dirty, because it comes with two washable pads that can be laundered. It also has a container to hold the water and cleaner. When the floor is muddy, you should use a regular mop. You'll need water and a bucket, if you're not using a product like the Reveal. This cleaner is recommended in various dilutions as the only homemade cleaner that works. I tried it and it worked for me, It left me with beautiful shiny floors without wiping afterwards. I used a little less vinegar and more hot water and it still worked fine. 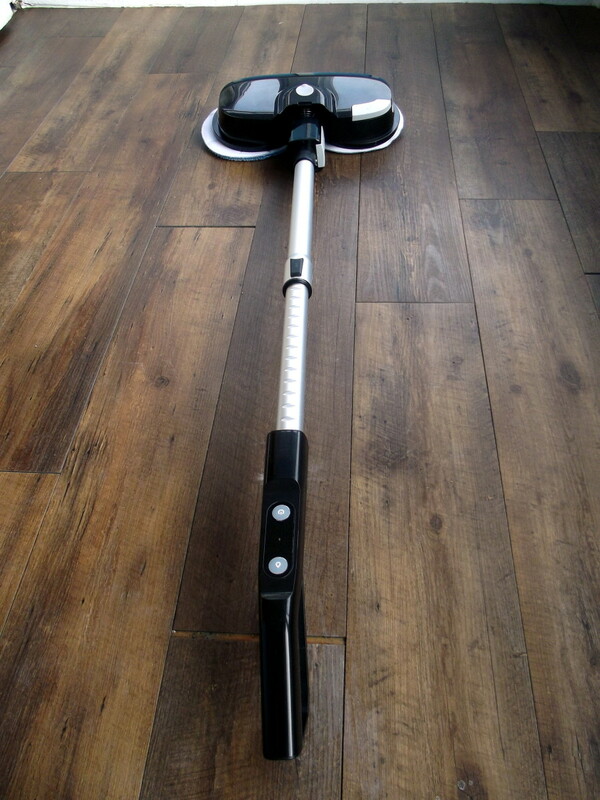 First, vacuum or dust mop the floor and remove all loose sand and dirt. This step is important, because sand is abrasive. Mix the vinegar, water and dish soap in a bucket. I use a 2 gallon bucket for this. Use either a mop, microfiber cloth or a terrycloth rag and get it thoroughly wet in the bucket. Next wring it out until the mop or cloth is just damp and not wet. 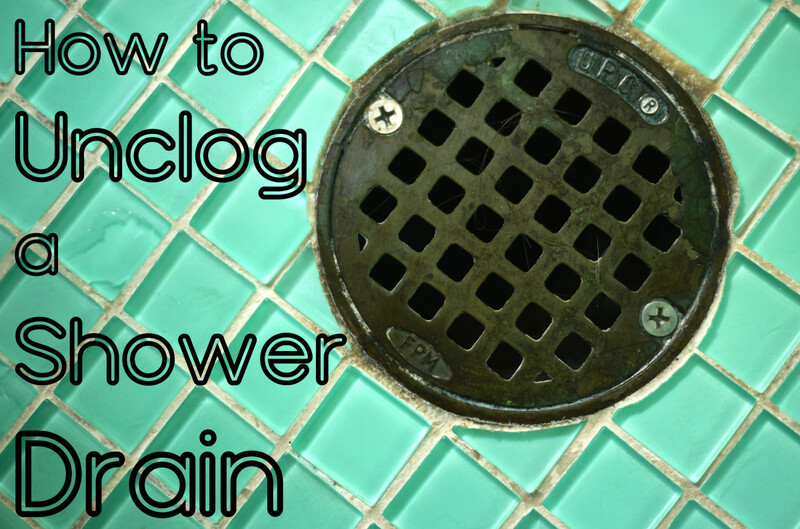 This is important, If it is too wet, it isn't good for the floor and will leave streaks. Mop the floor in the same direction as the grooves go. This will prevent dirt from collecting where the planks meet. This is all there is to it. If your cloth was wrung out well enough, you won't need to dry it and you can enjoy the shiny floor again. If you already have a buildup from other cleaners that you've used, you may need to use a purchased product to get it off. Try the recipe above first and if it doesn't work, try Bruce Laminate Floor Cleaner. Don't walk on the floor for one hour after using. If the buildup still isn't off, do it again. Then clean with the vinegar and water solution above. Mopping with a regular floor mop seems to work best. You do need to see that it is wrung out so well that it is almost dry. I use the Rubbermaid Reveal Mop when I am in a hurry or to just clean water spills. It has a container to hold the cleaner and a spray nozzle that sprays it on the floor. Then you just mop it up. The mop covers are microfiber and fit on the bottom of the mop. It is sold with two of the covers and are machine washable. It will leaves streaks if you don't use a clean mop cover every time and the floor is really dirty. You also need to see that the mop cover doesn't get too wet. If it does, put your extra cover on and don't spray as much cleaner. If your floor is extra dirty, these special mops seem to just smear the dirt around. I've never tried the Bona Mop, but it comes highly recommended along with their Bona Tile and Laminate Cleaner. You can't walk on the flooring after using it until it is completely dry. This is only recommended to remove old floor cleaners and then to use the vinegar and water treatment or another laminate floor cleaner. This can be repeated twice if necessary. Other products with good reviews are Orange Glo and Abbey laminate floor cleaners. The Bruce Floor Cleaner for Laminate Floors that is mentioned above is also recommended by users. Be careful which cleaners you choose. I love Murphy's Oil for cleaning grease in the kitchen, but don't use it on laminate wood floors. It says on the bottle that you can, but after I used it, my floor was a smeared up mess. Every step I took, I left a footprint. You can imagine the mess I had with dogs. I needed to redo the entire floor. Many of the other cleaners leave the same problem. 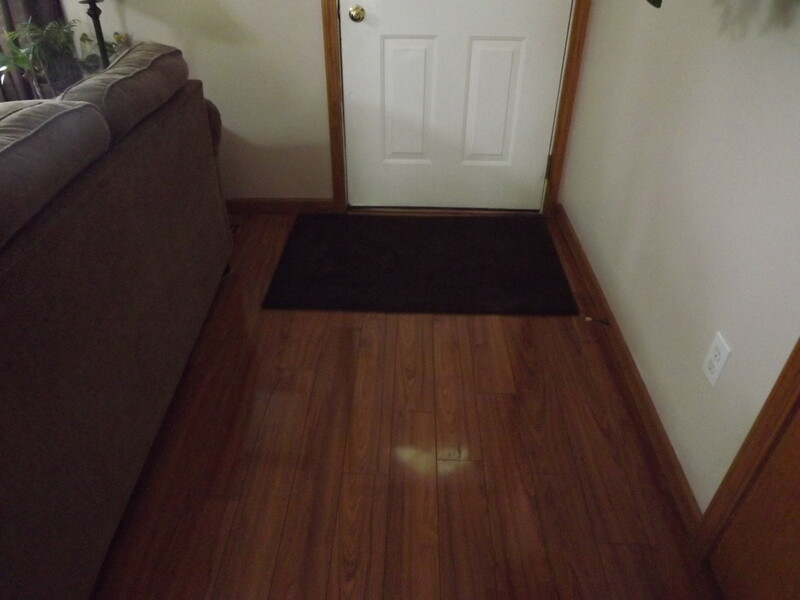 Have you had problems with streaks on your laminate wood floors? Have you found a product or method that works well? Let us know in the comment section below. It sounds like you scratched the finish. This may be permanent. The only thing I I know you can do is replace the plank of laminate. Hopefully, the person who put down the floor left a few extra planks. Laminate flooring is what is considered a floating floor. It comes up easily. If you don't know how to do it, it shouldn't cost too much to hire a carpenter to do this for you. That is if you do have a couple of extra planks at least. Justin-cook, I need to do my floors right now. I'm not sure if I have any of the baby shampoo here to try. I have used the vinegar and water and it has worked well, but I am going to try the baby shampoo. Thanks for the idea. I have tried that and trust me it works and it also doesn't have any side effects on the floor. I'll have to give the baby shampoo a try on my floors. I haven't tried that one and hadn't heard of it before. Thanks for reading. and i never had any problem with me or my pets. I haven't heard this from anyone else, but it could be the problem. I just use the vinegar and water myself and my dogs are fine. Phyllis, I use white vinegar. Don't use more than recommended though. What kind of vinegar? White or cider? starr, Thanks for commenting. I was surprised by the work involved too. Ive tried everything. EVERYTHING. The only think that has ever truly worked is getting on my hands & knees w/ water & paper towels. Wood laminate: NEVER AGAIN. teaches12345, Hardwood floors are different than laminate floors. I'd do a little research and be sure that vinegar is alright to use on hardwood first. Laminate has a coating on it that protects the wood. Barbara, I have wood floors but I think your recipe for homemade cleaner is pretty good. I am going to give it a try. Thanks for the share here and advice. kansasyarn, I'm happy you read it then, because it worked so well for me. Be sure to squeeze out the rag really well. Best of luck with your floors. Thanks for sharing these useful tips! In the past I have had trouble with streaking on my laminate floors and even streaking from the build up of cleaners on ceramic tile. What a simple and safe method of cleaning these floors! Will definitely give it a try! onegreenparachute, I have a Brazilian oak which is a very dark oak and it worked for mine. Best of luck. It should work. Stick to the recipe and don't use too much dish soap. I'm really hoping your instructions work! 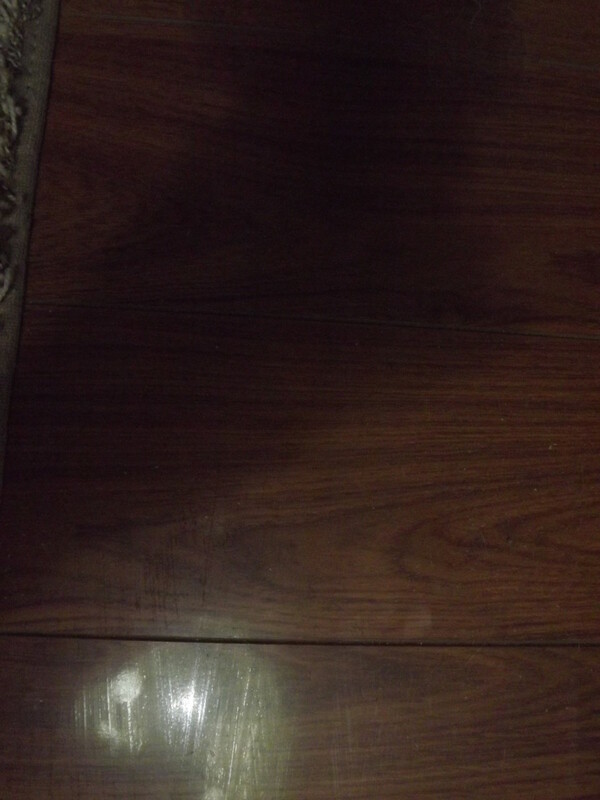 In our home in Canada we have shiny laminate floors which have been driving me bonkers with streaks. The floor is a dark cherry and shows every scuff or mark. I'll try this as soon as we get home. Thanks!! Glimmer Twin Fan, My results were great. Shiny floors again! I'm sure you'll feel the same way. Thanks for reading and commenting. Thanks for this useful hub! I hate spending a fortune on cleaners for my laminate floor so this is going to come in handy and save us a lot of money. Angela Blair, Thanks for reading. I had the same problem until I found this and I was almost sorry we put down the laminate. Now I am happy again. Thanks for your comments. moonlake, Laminate is different than hardwood, so I don't know. We paid a small fortune for the floors, so I'm hesitant to try something like that. Thanks for your comments. Victoria Lynn, I know hardwood floors are cleaned differently than laminate. Laminate is wood, but with a coating over it. The reason you have to be careful with it is that you can ruin the coating. Thanks for commenting. I didn't hear it recommended for laminated floors but it was recommended for our wood floors in our other house so when I did the floors here I used the windex. I have used it for years and the floor looks the same it hasn't hurt it. 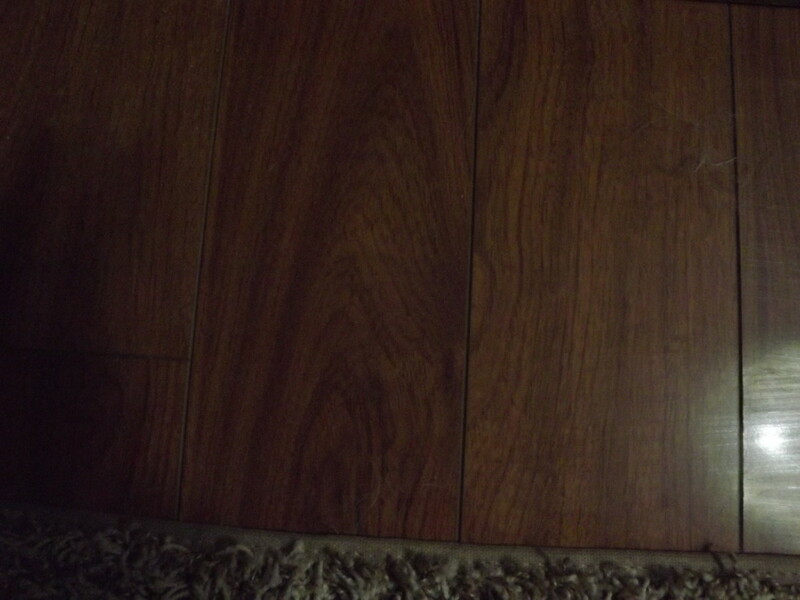 My floors aren't laminate, but they're old wood, squares, actually. I've never been sure how to clean them. I usually just use a damp mop (barely damp) with some type of cleaner. I would like to make them shinier but don't know if I should use wax. Maybe I'll try your cleaner. Interesting hub. moonlake, I read about someone else that used Windex. I wondered about it. Where did you hear that recommended? I was a little afraid to try it since the manufacturer of mine recommended only hot water. Thanks for commenting. I use water and windex on my floors. I spray the floor with windex and use my mop with hot water in it. I use the same kind of mop as the girl in the video. I also use the same kind of rags. The dogs can sure leave awful marks on the floor and so fast it will look like it needs to be mopped again. Voted up on your hub.